John O'Regan's Blog. : Off The Ball speak to Ciaran 'Kipper' Maguire and John O'Regan. Off The Ball speak to Ciaran 'Kipper' Maguire and John O'Regan. Tomorrow night, a new documentary called Extreme airs on Setanta Sports. Tracking seven Irish athletes, it shows them as they pursue the different extreme sports that they are involved in. Some of the sports include base jumping, thunder cat racing, surfing, rock climbing and kayaking among others. Tonight on Off The Ball, kayaker and the show's presenter Ciaran 'Kipper' Maguire and marathon runner John O'Regan joined us to talk about the documentary and their own experiences in extreme sports. 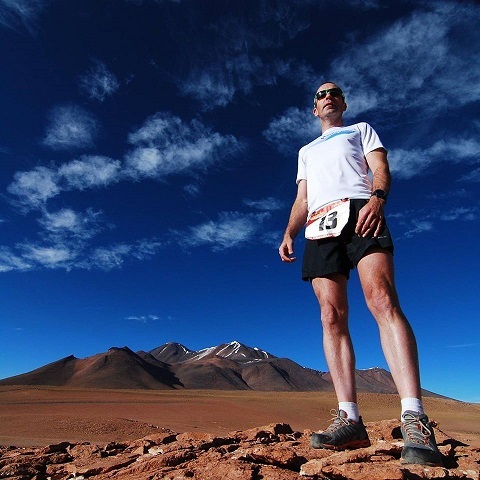 The latter, who spent time with TV adventurer Ray Mears, has competed in 24 hour marathon races as well as a six-day race in the Sahara desert. "I wouldn't call it mad because I was still able to do it," he said of the Sahara race, which he suggested was "underwhelming". "I'm not someone who can't swim and then decides I'm going to swim the channel. I didn't see this as a big deal but I did set myself a two-year plan. I made sure I could run a marathon first of all. The idea came into my head in April 2001 after I ran the Dublin marathon in October. I didn't just jump into it." Listen to the full interview with Maguire and O'Regan via the podcast.